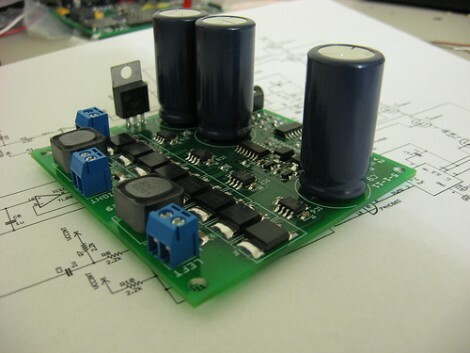 We’ve covered our fair share of DIY power supplies here at Hackaday, and despite this one being a year old, it goes the extra mile for a number of reasons. Firstly, many of the expensive and key components are salvaged from a faulty audio amp: the transformer, large heatsink and chassis, as well as miscellaneous capacitors, pots, power resistors and relays. Secondly, this power supply is a hybrid. As well as two outputs from off-the-shelf buck and boost converters, there is also a linear supply. The efficiency of the switching supplies is great for general purpose work, but having a low-ripple linear output on tap for testing RF and audio projects is really handy. The addition of the linear regulator is covered in a second video, and it’s impressively technically comprehensive. [TPAI] does a great job of explaining the function of all the parts which comprise his linear supply, and builds it up manually from discrete components. To monitor the voltage and current on the front panel, two vintage dial voltmeters are used, after one is converted to an ammeter. It’s these small auxiliary hacks which make this project stand out – another example is the rewiring of the transformer secondary and bridge rectifier to obtain a 38V rail rated for twice the original current. The Chinese DC-DC switching converters at the heart of this build are pretty popular these days, in fact we’re even seeing open source firmware being developed for them. If you want to find out more about how they operate on a basic level, here’s how a buck converter works, and also the science behind boost converters. [Ben Laskowski’s] been working on a Class-D audio amplifier for several months. What you see above is the most recent version of the amp. A class-D amplifier uses transistor switching (or in this case MOSFET switching) to generate the pulse-width-modulated signal that drives the speaker. This is different from common amplifiers as it doesn’t generate the kind of heat that traditional amplifiers do, making it much more efficient. After the break you can hear it demonstrated. It’s operating off of a single-supply laptop brick and we do hear a bit of a hum coming through the system. Still, we’re quite pleased at the power and quality the small board can put out. Take a look at a post from November to get a handle on what went into development. If you still hunger for more details, [Ben’s] shared the bulk of his prototyping materials in the github repository. 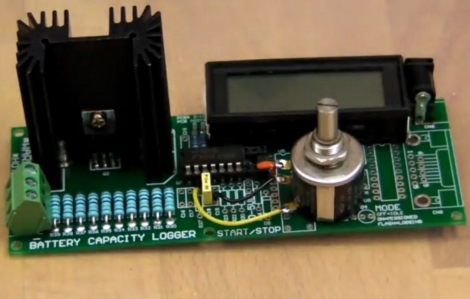 In [Dave’s] latest episode of the EEVblog he takes a look at constant current dummy loads. These are used to test power supply designs and instead of just chaining resistive loads together every time he’s decided to look into building a tool for the job. What he ends up with is a reliable constant current load that can be dialed anywhere from 1.5 mA up to just over 1A. There’s even an onboard meter so you don’t have to probe the setting before use.